ON the face of it, a growing number of consumers looking to moderate or reduce their alcohol intake could spell bad news for the on-trade. But it’s fair to say that pubs are nothing if not adaptable – and with an ever growing list of resourceful drinks producers releasing low and no-alcohol alternatives, switched-on operators can respond to and capitalise on this growing sub-category. In fact, drinks companies consulted by SLTN reckon the low and no-alcohol category is no longer supplementary, but rather one that stands shoulder to shoulder with its higher ABV brethren. Jerry Shedden, category and trade marketing director at Heineken UK, said the low and no-alcohol segment “has seen substantial growth over the past year in terms of volume and value”. 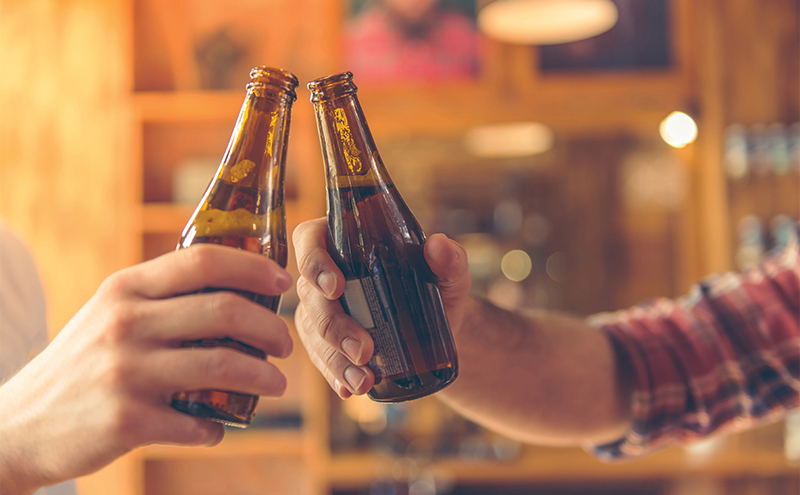 “Seventy thousand outlets in the UK now range an alcohol-free lager, with 9000 new outlets adding a bottle to their fridge this year, representing an increase of 15%,” said Shedden. “Scotland in particular has seen a 4.8% growth in coverage this year. Heineken predicts that the low and no market will “continue to grow in 2019” as more consumers look to lead healthier lifestyles. This was echoed by Ed Jones, senior customer marketing manager at Vimto Out of Home. He said: “As we know, consumers are increasingly choosing to socialise alcohol-free or cut down their alcohol consumption, with one in four 18 to 24 year olds now teetotal. 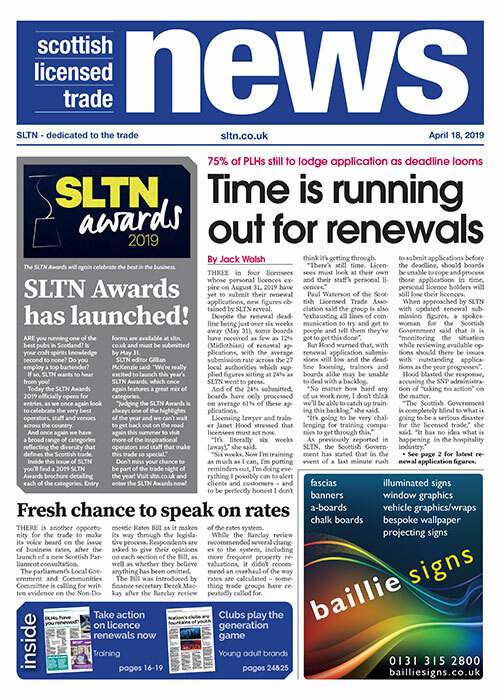 Similarly, Nichola Grant, marketing manager at Highland Spring Group, told SLTN with more adults limiting their alcohol intake – or not drinking any alcohol at all – publicans “must ensure they are meeting the demand for no and low-alcoholic beverages”. However, just like any other drinks category, the right range is integral to success, according to Stephan Kofler, sales and marketing director at Krombacher UK. “Offering a diverse selection of low and no-alcohol drinks, beers and cocktails is extremely important nowadays and pubs that don’t do it are at risk of losing custom and even generating bad feedback online,” said Kofler. “The modern consumer places a huge importance on the small detail. To take advantage, menus need to provide good beer tasting notes, details on style, bitterness and heritage – plus beer and food matching recommendations. Operators should also carefully consider the market they are trying to attract, reckons Amy Burgess of Coca-Cola European Partners. For instance, those looking to cater to the 18 to 24 segment “should focus on the rise of the teetotal consumer”, which Burgess said is a trend that is “particularly key for those looking to attract millennials, as nearly a quarter of under 24s are now choosing not to drink alcohol at all”. Jen Draper, marketing director at mixer and soft drinks firm Franklin & Sons, said food pairing can further bolster sales. “Those outlets that offer a range of premium soft drinks pairings on their menu to perfectly match with their food will continue to win the day in 2019,” she said. Looking ahead to the new year, Jason Clarke, director of Genius Brewing, told SLTN he reckons the trend for “smarter, healthier drinking” will continue to grow. He added that it is “critical” for an outlet’s staff to be fully trained on its low and no range. “Staff must understand the difference between ‘no’, ‘low’ and ‘lower’ ABV”, he said. The importance of staff training was also stressed by Andrew Turner of Halewood Wines & Spirits, which counts Eisberg Alcohol Free Wine within its drinks stable.